Below is the "South America Research Handout" that contains all the required areas of content for this assignment. ALL SLIDES MUST CONTAIN PICTURE FILL BACKGROUNDS, TEXT BOX FILL, AND ALL CONTENT AREAS. 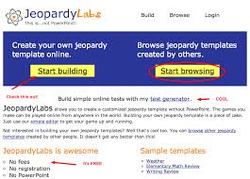 Want to make a jeopardy game?